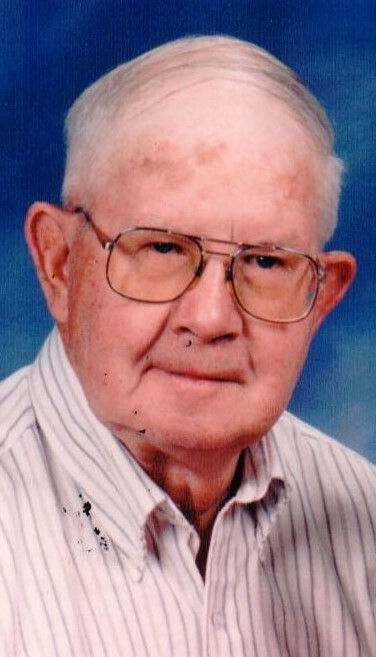 Obituary for Maynard Sidney Lillie | Fleming & Billman Funeral Directors, Inc.
Maynard S. Lillie, age 95, Sheffield Twp., died early Thursday morning at his residence. He was born August 12, 1923 in Sheffield Twp., the son of Harry & Esther (Carlson) Lillie and has resided in Sheffield Twp. all of his life. Maynard was a graduate of the Kingsville School, was a veteran of the US Army, serving during WWII. He was married to Lois M. Hayes on June 12, 1948 in Ashtabula. Mr. Lillie owned and operated the Lillie Dairy Farm on Lillie Rd. and also served Sheffield Twp. as cemetery sexton and road supervisor for many years. He was a lifetime attendee of Bulah Calvary United Methodist Church and an 80-year member of the Sheffield Grange, serving as chaplain many of those years. Mr. Lillie loved being with family. Survivors include his wife, Lois; three children, Patricia A. Kanack of Sheffield Twp., Duane S. “Sid” (Sherri) Lillie of Sheffield Twp. & Pamela L. (Theodore) West of Jefferson; seven grandchildren, Jon (Stephanie) Glotzbecker, Lynne (Scott) Millard, Heather (Jon) Stoltz, Jerrod Lewis, Christopher (Jenna) Lynagh, Andrew “A. J.” Lynagh & Sean Lynagh and six great-grandchildren, Sydney & Emily Millard, Nicholas & Morgan Stoltz and Claire & Danielle Glotzbecker. He was preceded in death by his parents, a son-in-law, Stephan Kanack, a great-grandson, Tyler Millard and a sister, Evelyn Austin. Funeral services will be Saturday at 10:30 AM with visitation from 9:30-10:30 prior to the service at the Jefferson Home of Fleming & Billman Funeral Directors and Crematory, 49 W. Jefferson St., Jefferson. The Rev. Scott Racut of the Bulah Calvary United Methodist Church will officiate. Burial will be in Gageville Cemetery with Conneaut American Legion Post #151 rendering military honors. Memorial contributions may be directed to the Bulah Calvary United Methodist Church, 2070 St. Rt. 193, Jefferson, OH 44047 or Bella Care Hospice, 1933 St. Rt. 45, Austinburg, OH 44010. The family would like to recognize and thank both of these organizations for their care and support to Mr. Lillie and the family. The Fleming & Billman Funeral Homes and staff are honored to serve the Maynard Lillie family. Visit fleming-billman.com to view obituary, express condolences or light a candle.